The World's Best Cheeses had its origins almost over 45 years ago as a company named LIPCO, a one truck operation based on Long Island. Originally only servicing the deli trade in the area, the company founder, Richard Fiscina, had the foresight to diversify during the 70’s time of tremendous growth in the industry know as “The Golden Age of Cheese Imports” and expanded the business to import and distribute specialty cheeses. In the early 80’s Lipco Moved into a 10,000 Square foot warehouse in Hauppauge, NY. In 1984 the Atalanta Corporation purchased Lipco and renamed it “Long Island Cheese & Specialties, Inc.” At the end of the year, Joe Gellert, who had been working for Atalanta became the owner and president of the company. In early 1995 the company was renamed “The World’s Best Cheeses” in anticipation of its move to a larger facility in Armonk, NY later that year. Over the next 10 years, The World’s Best Cheeses saw success in their new building. In 2005 Joe Gellert was joined by his son Stephen, and the company continued to steadily increase sales each year before a huge increase in both sales and company size that accompanied two key acquisitions. In 2012 The World’s Best Cheese acquired Crystal Foods, a New England based specialty food distributor. The two companies strategically were a perfect match. Previously The World's Best Cheeses only delivered as far north as Hartford, while the majority of Crystal’s customers were located north of that city. Crystal Foods had always been innovators in finding the most exquisite high end cheeses from all over the world, while admittedly The World's Best Cheeses specialized in more mid range products. World’s Best had always been known for their sound logistics programs and after the acquisition significant costs savings and improvements were made. Together the two companies were much stronger together, now offering efficient delivery range along the East Coast and a product selection that was unmatched in the industry. In October of 2012 the Company grew rapidly again through the acquisition of the assets of CWI Specialty Foods also known as Cheeseworks. 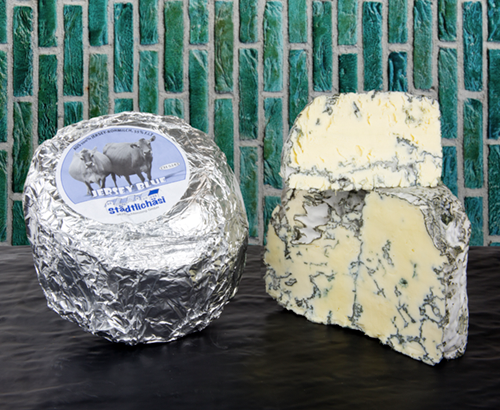 Previously CWI Specialty Foods had been one of The World's Best Cheeses biggest competitors on the east coast, additionally Cheeseworks had a strong presence in California, a market that The World’s Best Cheeses had been eyeing for some time. After the merger a second company World’s Best Cheeses West was born. Both branches of World’s Best Cheeses benefited from larger purchasing power and other economies of scale in an increasingly competitive industry. Weekly transfer trucks between the two companies enabled regional producers on both coasts access to a much wider audience. Today World’s Best Cheeses is one of the leading cheese distributors in the country. We offer over 3,500 of the finest specialty foods in the World, and we pride ourselves in our sound logistics, and an extremely knowledgeable sales team that strive to bring The World’s Best to you and your customers. © 2018 Worlds Best Cheeses, Inc.